Microlearning is a concept that believes in imparting knowledge bit by bit so as to make the learning experience memorable in nature. 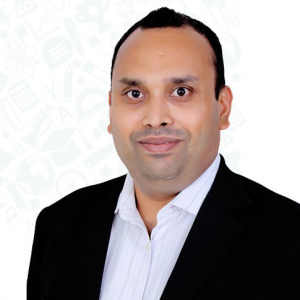 This can be done through videos, blogs, mobile applications, emails, infographics and many such interesting mediums that pave way for a promising learning approach. Microlearning has redefined the learning paradigm that the organizations had been following for so long. Giving a patient the right dose drip by drip without making him gulp down the entire packet of medicines at one go is what personifies the concept of microlearning. It believes in the concept of handing over relevant information in small batches that suits the best needs of an employee. Microlearning is a skill-based learning that believes in educating the learners through short nuggets, aiming to make the learning process less cumbersome and more interesting in nature. This learning approach, acknowledged as bite-sized learning, is sure to steal the user's attention by feeding them with one morsel at a time. There are many methods in which an employee can be trained and one among them is the bite-sized learning. Why go for shots when you can relish the entire mug at your own pace? Read on find out the benefits of adopting the bit by bit learning approach. Easy to memorize the concepts. Captivating contents that promise to hold your attention. It adds an element of individualization to make learning fun. Anytime, Anywhere – makes it's accessibility convenient. You no longer have to juggle between minutes and hours to learn something new. Requires considerable less time to prepare and execute. 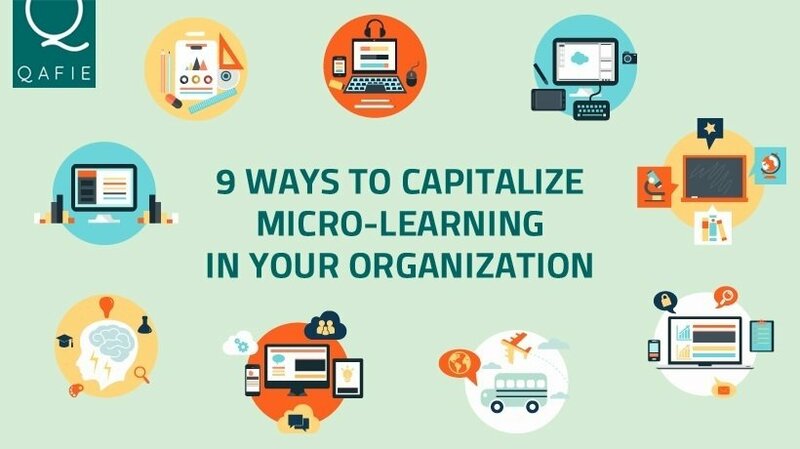 How Can You Capitalize Microlearning And Train Your Employees Effectively? Concentrated yet dynamic method of imparting training is the new fad that the learning industry is witnessing over the recent years. The long training programs would require the employees to stretch seconds to minutes and from minutes to hours to train themselves. When you have the training sessions divided into tiny bits and delivered through different modes, it becomes more impactful. Let me walk you through some of the ways in which you can use microlearning in your organization. Start with short yet powerful videos that successfully passes down the information through the few seconds that you have asked from your employee. Short and sweet should be the new voice for getting your message all clear across the border. 'Handy tips and tricks', facts, concepts, important information - all neatly packed in the email can be graciously delivered to each and every employee. Here comes yet another set of choice to the rescue for all the lengthy and never ending list of questions that an employee sometimes has to go through to access his knowledge. You can make use of short questions to assess their performance or even better give information in the form of question and answer or quiz format. All the relevant blogs and contents need to be properly laid down so that user can spare few minutes digging into the information that has been displayed on the online platter. Blogs have become the latest fads in the world of digital communication. One can elegantly lay down all the information in form of a blog and presented to the employees in a manner that they are tempted to go through the entire blog. Everyone loves animated stuff, isn't it? Training employees through animated pieces of information would not only make it interesting but easy to remember. Presenting facts and figures beautifully in the form of a picture, graph, or a diagram is what an infographic does. One can present a whole lot of information in a singular format generously depicting the purpose of the infographic. Passing on information through PDF's is yet another fruitful way to give birth to microlearning concept in an organization. One could also make it interactive by embedding questions or rather an open-ended question to make way for a healthy discussion. However busy a person might be, he never forgets to check his phone. You can push a relevant information through messages that takes just a few seconds to deliver to be read. Apps have almost become ubiquitous in nature. Creating mobile applications that gives information, makes way for gamification, makes learning fun, is yet another way to imbibe microlearning. A world that loves online interaction can be given short doses of information through posts, updates and status that comprises of a few characters. Being relatively small in size, the concept of microlearning has the potential to be a part and parcel of everyday activities of an employee. Though the intensity would be petite, it ensures that the employees are trained on a daily basis giving way to a bright future.